In a bid to up their ratings, ABC ditched the ugly for the pretty. 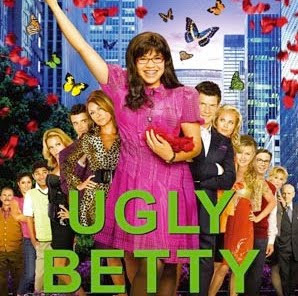 Season 4 of ABC's Ugly Betty has been full of new bangs and new looks for its title character, Betty Suarez. But the producers and writers seem to have a few more ratings tricks up their sleeves this season, as they have thrown in sneaky comparisons to celebrity cult Scientology. Ugly Betty's latest story line centers around publishing god Daniel Meade and the trauma he is suffering after losing his wife Molly to cancer. To help him combat his grief, Daniel's ex-assistant Betty signs him up for bereavement classes held by the Community of the Phoenix. With the help of Phoenix's dutiful servant Natalie (played by an eccentric Jamie Lynn Sigler), Daniel becomes entrenched in the program and is on a mission to reconnect with his dead wife. In episode seven, Level (7) with Me, viewers watch as Daniel is sucked into the Phoenix cult. Daniel allows the Community of the Phoenix to help run his persona and professional affairs, and crosses the line when he invites them into Mode's editorial meetings. At this point, Betty and Claire Meade (Daniel's mother) begin to investigate the true motives of the community. What they find out startles them and has them worried for Daniel's well-being. It seems that Daniel has quickly advanced through the community's levels by using powerful drugs, disguised in teas. Daniel is now at level seven and will be given a hallucinatory tea to help him reconnect with Molly. Just like in all prime time shows, Betty and Claire Meade rush in just in time to save their beloved Daniel. Writers and producers tend to borrow ideas from the headlines. 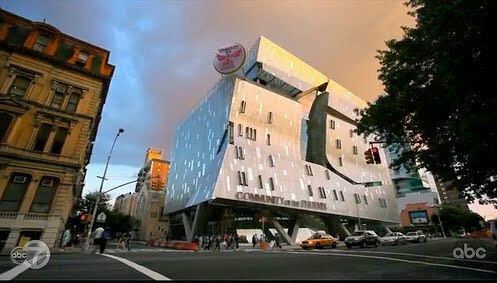 The Ugly Betty team seems to have picked up on this practice as their story arc for Community of the Phoenix bares a strange resemblance to celebrity influence in Scientology. Daniel Meade's involvement in Community of the Phoenix is reminiscent of Tom Cruise's devotion to the Church of Scientology. As Scientology's most famous follower, Cruise has been privy to intense media scrutiny and ridicule as a result of his involvement. Just as Cruise credits the movement with helping to cure him of his dyslexia, the Community of the Phoenix helped Daniel recover from the loss of his wife. 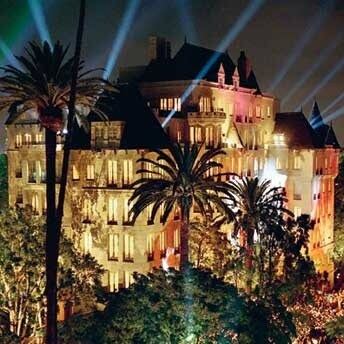 Further, Cruise's financial involvement in Scientology has long been debated. Insiders say that the superstar gives the church millions of dollars annually and has led to speculation that they are using him for financial gain. Ugly Betty showed a weary Betty and Mrs. Meade hacking into Daniel's bank account to check for any unusual cash transfers. Another similarity? The physical building. The Ugly Betty team evidently chose the location of their Community of the Phoenix based on the Church of Scientology's Celebrity Centre in Los Angeles. What do you think, A-listers? Is the Community of the Phoenix storyline a rip off of Scientology? Did you make this connection? I think this is hilarious and I think you have proven that there is a definite Scientology spin. As someon who pokes fun at ALL religions, I enjoy this type of humour. But I'm wondering if there would be an outcry if the show had made fun of another religion? For instance, what if they had featured a gay priest on the show? Would people be laughing, or writing to the network to issue an apology?